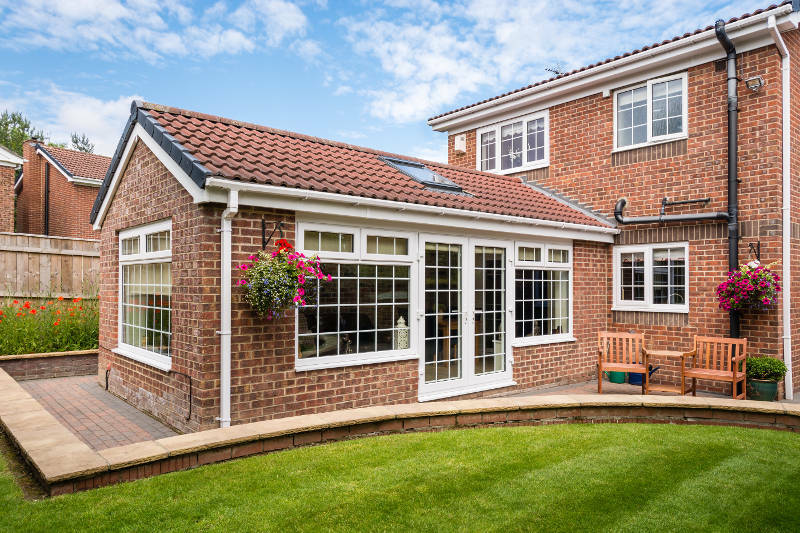 Many homeowners like to build additions onto their home and one of the most popular choices is a sunroom. Most can be used year round without the fear of freezing during the winter. But, you’re probably wondering if there are any awesome sunroom ideas that can make the room a valuable addition. There are actually many ways you can enhance your sunroom to make it a viable addition to your home. 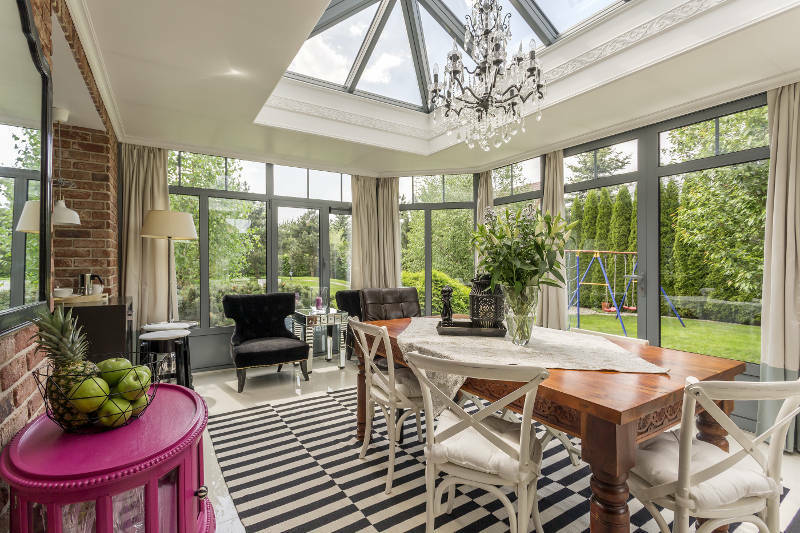 Whether it’s going all out and turning it into an extra living space or adding more energy efficient windows so it doesn’t become uninhabitable during the winter, there are tons of ways to transform your sunroom. So, where do you begin? We’ve come up with 9 sunroom ideas that are absolutely awesome and are a great place to begin with your sunroom makeover. Let’s get started. Lighting in your sunroom can make a huge difference. If the room is dark, no one is going to want to spend time in there. You have a ton of lighting options to consider. Spot lights are a cool and unique light source for your sunroom. They give off a lot of light in a central location but, the taller your ceilings are, the more of light you’ll get. It’s a beautiful and different way to light your home. If you want for a more elegant look, maybe a small chandelier is the way to go. It doesn’t have to be something crazy that you’d expect in a grand entryway of a castle. Sputnuk lights are a more modern take on chandeliers that would look great in a sunroom. For a party atmosphere, you can hang string lights throughout your sunroom. They would look great strung around the perimeter of your ceiling. If this is where you plan to entertain guests, it might be a great idea. Another great source of light is the sun. If you want to put the sun in sunroom, you’ll want to check out our second idea. Windows are absolutely one of the biggest necessities of a sunroom. You’ll be able to enjoy more natural light in your sunroom which, believe it or not, has the ability to improve your mood. Not only that but, by lighting your sunroom with natural light, you won’t have to turn on a light source. You won’t be using as much power which will help lower your energy bills. Be sure that you get windows with low-e glass. While you want sunlight in your sunroom, you don’t want UV rays. They can fade your floors, walls and furniture. Low-e glass prevents most UV rays from passing through the glass while still letting natural bright light in. Also, make sure the windows you choose are energy efficient. Double pane argon-gas filled windows will help keep heated and cooled air in your home which will make your sunroom usable during all seasons. To further push the energy efficiency, vinyl windows are a much better option for Madison homeowners than wood or aluminum. That’s because they’re foam insulated to help create an air tight seal in all of your window openings. Plus, they’re low maintenance and easy to clean. They’re resistant to warping and rotting which can cause gaps and mold. Vinyl windows will never need to be painted or stained either since the color is baked into them when they’re manufactured. 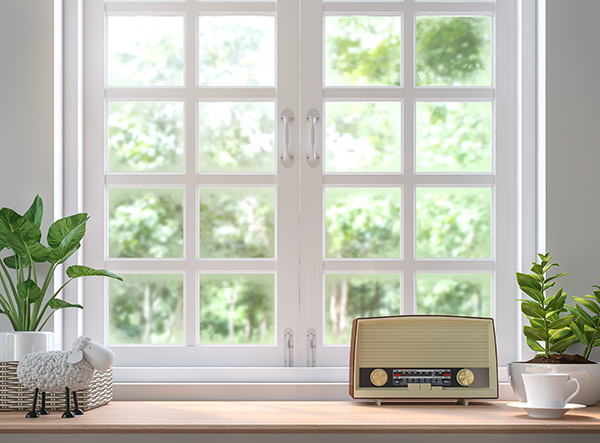 We can sum up the last 6 paragraphs in 6 words: get vinyl windows for your sunroom! If you’re going to add an awesome addition to your home, the last thing you want to do is fill it with rinky-dink furniture. You want something large that can fit a ton of people on it. It also needs to be comfortable because the entire point of a sunroom is to relax. We recommend a large curved couch because it has so many options: you can use a recliner, lay down or fit a bunch of people of there – it’s extremely versatile. 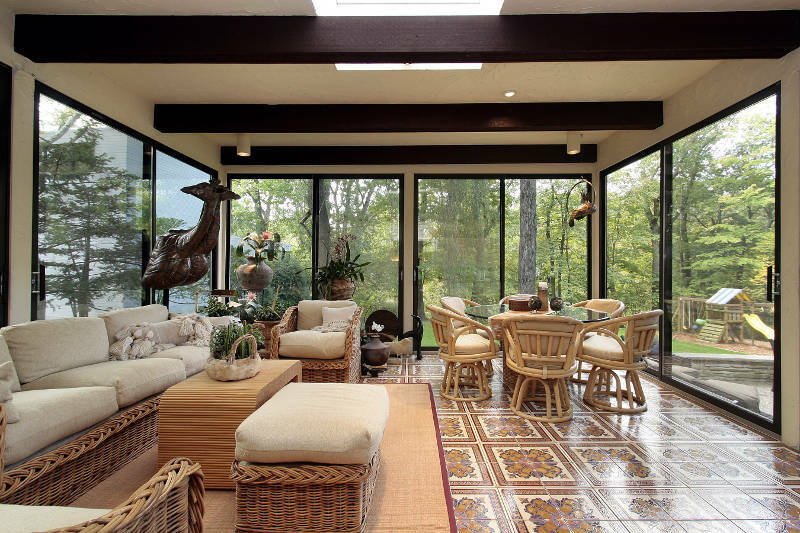 As for other furniture, coffee tables, a table with chairs and a desk are all great options for your sunroom. It really depends on how you plan on using it. We have one of our favorite ideas with our next tip. Do you not have a family room or basement? Want somewhere cool to hangout? Why not in your sunroom? Turning your sunroom into a living space is probably our favorite of these 10 sunroom ideas. It’s really easy to do this. First, you’ll need plenty of seating. A couch, chair and loveseat are all great ideas for your extra living space. Once you’ve picked your seating, you’ll want a TV and speaker system so you can watch your favorite shows or cheer for your local sports team. Many sunrooms are considered three seasons rooms because they can be used Spring, Summer and Fall. However, if you get a fireplace (and maybe some vinyl windows like we mentioned above), you can make that three seasons room an all seasons room. Fireplaces are a great addition to your sunroom because they produce a great deal of heat. That heat will keep your room a comfortable temperature when it’s absolutely freezing outside. Plus, who doesn’t think a fireplace looks absolutely beautiful? It’ll add visual appeal unlike anything else. When you’re building a sunroom, you need to consider what the flooring is going to be. You have so many options from hardwood to tile. This also depend on how you plan on using your sunroom. For instance, a living space would be with a carpet or hardwood flooring. However, a garden or backroom could be good with a tile floor. No matter which you choose, it’ll look great in your sunroom. You already know that lighting your sunroom with natural light is incredibly important which is why you want many large windows. However, to maximize the light in your sunroom, you should consider getting a sliding patio door. Sliding patio doors are like giant sliding windows – they consist of two large panes of glass (one operable and one not) within a frame. The frame should be made from vinyl to improve energy efficiency. If you need a patio door for your sunroom, get a free quote from Feldco. 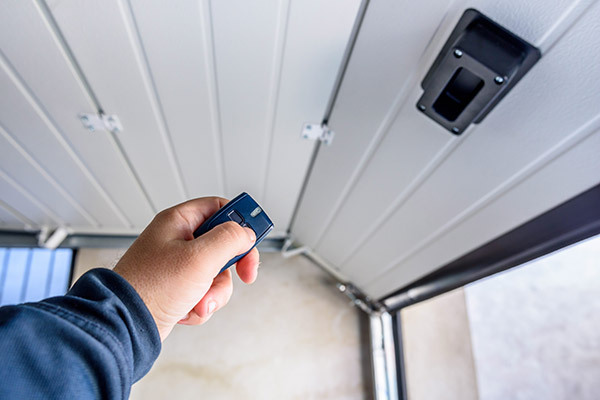 We’re Madison’s best door replacement company and have been serving the Midwest for over 40 years. You know that you’re in good hands with Feldco. If you want to circulate air in your sunroom, look no further than a ceiling fan. It can help move air around so your sunroom doesn’t get too stuffy and it remains comfortable. The speed of a ceiling fan can also help lower the temperature in your sunroom. It’s much needed during the summer when your sunroom can get blisteringly hot. Another great option for your sunroom is to turn it into a dining room. Think of it like eating outside at your favorite restaurant, only much cheaper. It’s pretty easy to turn your sunroom into a dining area. First you’ll need a large table and chairs – they’ll be the centerpiece of the entire room. This will allow you to host dinner parties in your sunroom. After that, the only thing you need to consider is how to decorate the space. A curio of figurines, paintings and plants are all great routes to go with your sunroom dining area. These sunroom ideas will take your addition from a little add-on to a much needed area for entertaining guests. Windows, ceiling fans and changing the flooring are all small things you can do to your sunroom that can make a big difference. Speaking of windows, Feldco offers fantastic windows for your sunroom. They’re made of vinyl so you know they’re energy efficient, durable and low maintenance. Plus, they’re installed by factory trained and certified installers. 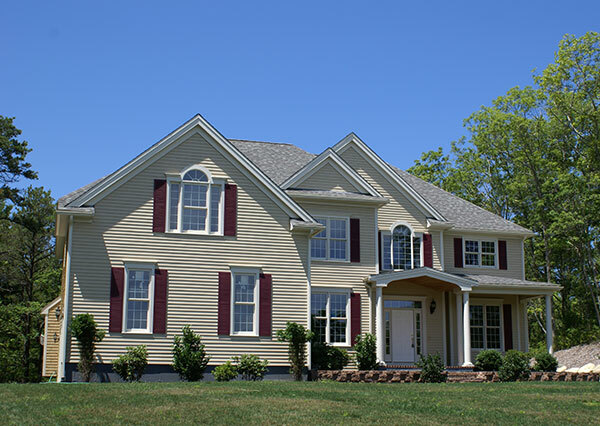 When you need replacement windows, get a free quote from Feldco.